is a Hong Kong listed conglomerate offering a variety of health and wealth solutions. Mason Group Holdings Limited ("MGHL") is a Hong Kong listed conglomerate offering a variety of health and wealth solutions. Through its subsidiaries, MGHL mainly provides brokerage, capital markets, corporate finance, fund & asset management, leveraged & acquisition finance, mortgage and research solutions. It also provides mother-infant-child products, RNA & DNA analysis and assisted reproductive services. Aside from the above, MGHL has endeavored in developing its presence in Mainland China. In March 2016, MGHL formed a Sino-foreign joint-venture with a number of well-established financial institutions in setting up Shengang Securities Company Limited (“Shengang Securities”), a financial institution incorporated in the China (Shanghai) Pilot Free Trade Zone with a registered capital of RMB 3.5 billion. Shengang Securities is the first Sino-foreign financial institution approved by the China Securities Regulatory Commission (“CSRC”) under the Mainland Hong Kong Closer Economic Partnership Arrangement (“CEPA”) framework to grant a license for carrying out multi securities-related businesses in Mainland China. Such license can be extended to a full license upon reaching the first anniversary of the establishment of Shengang Securities. The amount of capital contribution paid by MGHL amounted to a total of RMB 525 million which makes up of 15% of the total shareholding, making MGHL one of the largest shareholders of Shengang Securities. Shengang Securities is considered to be one of the most important milestones for MGHL in establishing its reach in China. MGHL shall continue to expand its presence in the health and wealth sector. Apart from the promotion and refinement of existing health and wealth services currently offered by MGHL, MGHL shall develop a diversified health and wealth platform through the provision of a more diversified range of health and wealth solutions; ultimately leading MGHL to realise its global goals. AYD was established in 1998 in Zhuhai. It is a leading mother-infant-child products franchisor in South China, AYD now has a regional network of over 730 retail shops in over 30 cities in China, mainly in Guangdong, Jiangsu and Zhejiang provinces. DiagCor Technology Limited offers a range of products, solutions and services relating to RNA and DNA analysis, and is currently principally engaged in the operation of laboratory testing related business. DiagCor Technology Limited, together with its independent clinical laboratory located in Guangzhou, provides various advanced molecular diagnostic services in the area of neonatal, prenatal, postnatal, pediatrics and oncology screening, precision medicine for oncology treatments to service patients in both Hong Kong and China. Reproductive Healthcare Limited (“RHC“) was founded by Dr. Ho Wing Chiu Clement in 2006. RHC is one of the leading clinics in Hong Kong specializing in Obstetrics & Gynecology and provides assisted reproductive services in Hong Kong. RHC conducts all of its in vitro fertilization (“IVF”) services through Victory “ART” Laboratory Limited. MGHL provides comprehensive brokerage services to customers via Mason Securities Limited (“MSL”) and Mason Futures Limited (“MFL”). Via MSL Capital Markets Solutions Department, MGHL offers product distributions and capital-raising services for a wide variety of clients, ranging from global institutions, publicly held companies, multinational corporations to privately held companies founded and run by entrepreneurs. MGHL via MSL provides a broad range of corporate finance advisory services, including mergers & acquisitions, corporate restructurings and spin-offs, rights issues, shares placings and underwriting. Fund & Asset Management Department provides advisory and discretionary investment management services to customers and its seasoned team has extensive experience in managing segregated mandates and funds for global ultra-high-net-worth customers, trusts, family offices, endowments, foundations, pension funds, insurance companies, institutions, sovereign wealth funds and central banks across a diverse range of asset classes, markets and investment strategies. MGHL via MSL’s Leveraged & Acquisition Finance Department (“LAF”) offers clients in-depth and comprehensive leveraged and acquisition finance consultation and financing solutions. MGHL provides customers with highly specialized financial services via Mason Capital Investments Limited, including but not limit to mortgage services. We focus on the acquisition of loan assets, arrangement of debt financing and other capital market transactions in Hong Kong and across the Asian region. MGHL via MSL provides clients with detailed and comprehensive investment market analysis on a daily basis, assisting clients to identify market trends and take advantage of investment opportunities. Via MSL, MGHL strives to provide customers with top-notch local and global investment solutions. Shengang Securities Company Limited provides securities broking, securities underwriting and sponsoring, securities trading and securities asset management related businesses in the PRC. Mason Group is committed to maintaining high standards of corporate governance and integrity, and to ensuring transparent and adequate levels of disclosure. Mason Securities Limited is licensed by the Securities and Futures Commission to carry on Types 1, 4 and 9 regulated activities in Hong Kong. Mason Futures Limited is licensed by the Securities and Futures Commission to carry on Type 2 and 5 regulated activity in Hong Kong. Mason Global Capital limited is licensed by the Securities and Futures Commission to carry on Type 6 regulated activity in Hong Kong. Mason Investment Management Limited is licensed by the Securities and Futures Commission to carry on Type 1, 4 and 9 regulated activity in Hong Kong. Mason Securities Limited, Mason Futures Limited, Mason Global Capital Limited and Mason Investment Management Limited are all wholly-owned subsidiaries of Mason Group Holdings Limited (HKEx Stock Code: 273). Mason Group Holdings Limited (“Mason Group” or “the Group”, stock code: 273.HK) and Mason Securities Limited (“Mason Securities”) have recently noted a fake website or QR Code pretending to be Mason Group/ Mason Securities. 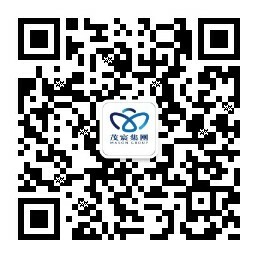 Mason Group/ Mason Securities hereby declare that, in order to protect personal interests, Mason Securities’s clients and the general public should check our website address or QR Codes and contact number carefully (as detailed below) when gaining access to our websites or scanning our QR Codes and stay alert in order to avoid being deceived or misled. Mason Group/ Mason Securities shall not be liable to any person for any loss or damage arising in connection with the activities of fake website or using the fake QR Code(s). To protect our reputation and the best interest of Mason Securities’s clients, Mason Group/ Mason Securities reserve the right to take all necessary and appropriate legal action against any person, website or company who conducts business activities such as marketing or solicitation using Mason Group/ Mason Securities’s brand name without Mason Group/ Mason Securities’s prior consent. QUOTEPOWER INTERNATIONAL LIMITED AND ITS INFORMATION PROVIDERS ENDEAVOUR TO ENSURE THE ACCURACY AND RELIABILITY OF THE INFORMATION PROVIDED, AND ACCEPT NO LIABILITY (WHETHER IN TORT OR CONTRACT OR OTHERWISE) FOR ANY LOSS OR DAMAGE ARISING FROM ANY INACCURACIES OR OMISSIONS. "personal data" means any personally identifying information or sensitive data (such as names, occupations, addresses, contact details, Octopus Card number and credit card information, from which it is practicable for the identity of the individual to be ascertained, but also may include other information and data). 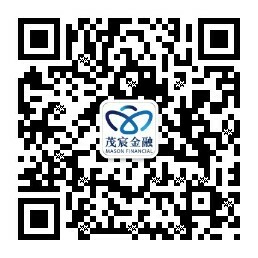 You do not need to provide any personal data to make general use of this website (“Website”), meaning www.masonhk.com. protect against misuses or unauthorised use of the Website. When you come to our Website, our server software records the domain name of your computer. We also track the pages you visit. We do these things so that we can measure traffic, gauge the popularity of various parts of the Website, to gain some general knowledge about our audience, and market the Website to advertisers with whom we may share summarised traffic data. This information does not identify you as an individual. You may at any time request access to and correct personal data relating to you in any of our records. You may also ask us to delete you from any active mailing or distribution list. To exercise any of your rights, write to us at the address below and marked Confidential on the envelope. In response, we may ask you to provide certain details about yourself so that we can be sure you are the person to whom the data refers. We are required to respond to your requests within 40 days and will endeavour to do so wherever possible, but we may charge you a fee for doing so. “You” and “Your” when used on this page include any person who accesses the Website and submits personal data. MGHL reserves the right to make changes or updates with respect to or in the content of the Website or the format thereof at any time without notice. MGHL reserves the right to terminate or restrict access to the Website for any reason whatsoever at its sole discretion. Although care has been taken to ensure the accuracy of the information and contents of the Website, which are obtained from sources believed to be reliable, MGHL does not represent, warrant or guarantee the accuracy, completeness, timeliness, reliability or suitability of the information or contents for any particular purpose. MGHL bears no tortious, contractual or any other liability to you and/or any third party arising in connection with the use of the Website, or reliance on any information, contents or services provided herein. MGHL will under no circumstances be liable to you and/or any third party for losses of any kind, including but not limited to lost profits or lost opportunity, any indirect, special, consequential, incidental or punitive damages. MGHL does not warrant, promise or make any representations as to the security of the Website, unless it has stated, warranted or promised that a particular function is duly and effectively encrypted. You should acknowledge that any information transmitted into or from the Website may be intercepted and influenced howsoever by any third party who is out of MGHL’s knowledge or control. MGHL does not warrant that the Website and/or the server of the Website and/or any communications sent from MGHL are free from any malicious attacks, virus, malwares or any other elements which may be harmful to you and/or your property. MGHL, its associates, affiliates and/or subsidiaries will in no circumstances be liable for any direct/indirect, consequential, incidental damages resulting from, arising out of or in connection with the use of, on inability to use the Website or any content herein, even if MGHL, its associates, affiliates and/or subsidiaries has been advised of the possibility. The Website may provide links to other websites that are not under the control of MGHL. MGHL shall not be responsible in any way for the content of such other websites. MGHL provides such links only as a convenience to the user of the Website, and the inclusion of any link to any such web sites does not imply endorsement by MGHL of the content of such websites. MGHL has and reserves all Copyright and/or all other right, whether it is in proprietary nature, of the content of the Website, including but not limited to software, audio, video, text and photographs. All rights in the content not expressly granted herein are reserved. Except for otherwise provided, information or contents published on the Website may be reproduced or distributed in unmodified form for personal and non-commercial use only. The information or content of the Website may not be copied, transmitted, disseminated, sold, distributed, published, broadcasted, circulated, stored for subsequent use or commercially exploited in any manner without the prior written consent of MGHL. Any material, content or information sent through or in connection with the Website by you (“User Materials”) will be treated as non-confidential and non-proprietary, and immediately become the property of MGHL, subject to any privacy policies posted on the Website. MGHL may use such User Materials as it deems fit, anywhere in the world, without obligation for compensation, and free of any moral rights, intellectual property rights or other proprietary rights in or to such User Materials. The information or contents on the Website may contain certain projections, plans, objectives and/or forward-looking statements with respect to the financial condition, results of operations and business of MGHL or any of its associates, affiliates and/or subsidiaries. By their nature, projections, plans, objectives and/or forward-looking statements are not absolutely reliable and involve risk and uncertainty, because they are related to or depend on unpredictable or future factors, which could cause material or substantial impact on the accuracy, reliability and authenticity on those projections, plans, objectives and/or forward-looking statements. None of the information or contents herein constitutes a solicitation or offer by MGHL to buy, sell or otherwise deal in, whether as principal or agent or otherwise, any products, services or recommendation of whatsoever nature.